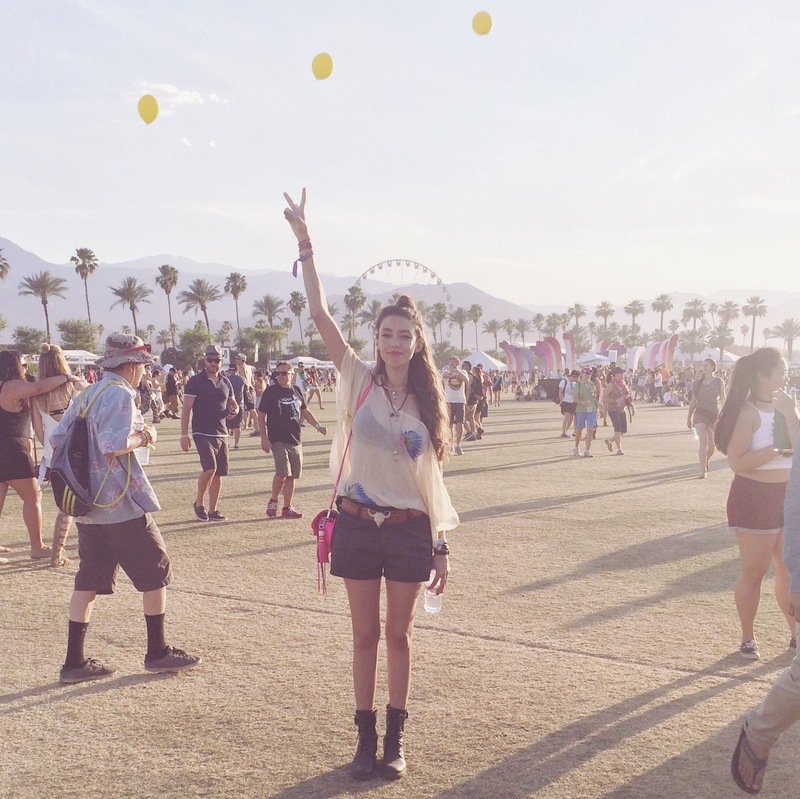 What to wear for Coachella and other useful tips! It’s spring break, and I know what’s on your mind, what am I going to wear for Coachella or any music festival for that matter? With hundreds of different options for shoes, rompers, and sunglasses. How does one make a choice to commit to an outfit? Ugh, the stress begins. Well, not to fear my friends! With a bunch of music festivals under the belt, we’ve compiled the best attire and essentials you’ll need for stellar time. Being an avid music festival goer, one thing you must keep in mind; it’s a lot of walking. A lot of dirt. So, you’ll need a pair of good combat boots, ankle boots, or sneakers. Some people like to wear sandals, but I recommend the cute shoes for the daytime pool parties. If you wear the open toed shoes to the festival your feet and those cute sandals you just bought, will be disgustingly dirty. Here are my best shoes to wear to the music festival. Click and shop these choices below. Over the years, we’ve learned music festivals weather is very unpredictable. Some weekends you would be completely rained out, other weekends it’s perfect, or you have a crazy dust storm, and you can’t even see the main stage. With that in mind, you’ll need a couple of pairs of trusty pants that are also really trendy cute. Click below to shop! When the weather is perfect outside, there is nothing better than the perfect pair of shorts. Shop my favorite shorts and Rompers below. To create the perfect look for Coachella, you’re going to need some accessories. Hats, glasses earrings, necklaces, and belts are a basic no brainer. Shop my favorite selections below. Here are my favorites shirts to buy. Now, we’ve gone over what to wear at Coachella let’s talk a little about what to wear on your face beside Sun-screen. Runway trends for spring are the minimal dewy look on the face. Add a subtle cat eye and a red lip for an added flare. What guys usually wear to Coachella is pretty simple. You’ll find them in shorts, a t-shirt, hat and glasses or flannel with a t-shirt, jeans and Converse. Shop my favorite men’s wear items. These are things I like to see guys wear. Here is my Coachella post from last year. First, Get Your Car An Oil Change And Make Sure It Has Water. It’s Very Hot Out There; You Don’t Want To Have It Over Heat. Also, Brace Yourself For Long Waits In Traffic! Camping And Riding A Bike Is A Great Idea, Just Lock It Up. Look At The Schedules Of The Artists Playing. Then Make Your Timeline Of Who You’d Like To See and You Won’t Miss Any Shows. During The Weeks Of Coachella, A Lot Of The Artists Play Smaller Shows In Surrounding Areas. If You Can’t Make It To The Festival. Check Music Blogs To See Whose Playing Where. At The Venue Cell Phones Don’t Work So, Stick With Your Crew. If you have allergies, be sure to bring your medication.